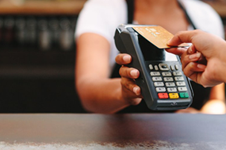 Businesses processing credit and debit payments can help protect themselves against new and evolving fraud threats by implementing EMV chip technology, tokenization and encryption security technologies in conjunction. Today, payments industry stakeholders are looking at many security technologies to protect their businesses and customers. This white paper explains how layering three of these technologies – chip, tokenization and encryption – in conjunction can help to secure the payments infrastructure and prevent card fraud. The degree of layering will differ among payments stakeholders depending on their requirements, environment and budget. Reading this white paper is a good start for any stakeholder starting to consider their best approach for implementing the three technologies. The Smart Card Alliance Payments Council developed this white paper to educate payment industry stakeholders on the role of EMV, encryption and tokenization for securing the payments infrastructure and preventing payment fraud. Participants involved in the development of this white paper included: Accenture, American Express, Bell ID, CH2M Hill, Chase Card Services, CPI Card Group, Datacard Group, First Data Corporation, Fiserv, Inc., Gemalto, Giesecke & Devrient, Heartland Payment Systems, Ingenico, INSIDE Secure, MasterCard, NXP Semiconductors, Oberthur Technologies, SHAZAM, Tyfone, Valid USA, Vantiv, Visa Inc., Washington Metropolitan Area Transit Authority (WMATA), Wells Fargo.